Gili Air, one of three Gili Islands situated just off Lombok in Indondesia is the epitome of the simple life. No roads (just sandy paths), no cars (just bicycles and horse and cart) with intermittent power and minimal technological distractions. It’s tropical paradise at it’s finest. But more than that, it’s a destination that forces you to slow down, disconnect and enjoy the simple things. We arrived in Indonesia with no concrete plans, so after catching up with friends in Ubud we jumped on a tiny ferry and made our way to Gili Air for two weeks of uninterrupted bliss. The Gili’s are made up of three islands; Gili Trawangan, Gili Meno and Gili Air. Gili Trawangan (‘Gili T’) is the most developed of the trio and is currently attempting to make it’s mark as the ‘Ibiza of Asia’ For this reason we steered WELL clear of Gili T, waved hello to Gili Meno and jumped off our ferry at Gili Air in search of a quiet bungalow on the remote side of the island. Sam and I took the fast ferry from Padang Bai in South East Bali which stops off at Lombok, Gili T, Gili Meno then finally Gili Air. The journey takes around two hours – and make sure you sit up on the rooftop and keep an eye out for dolphins playing in the boats’ wake. You can also fly directly to Lombok and then take the short 30 minute trip by boat to any of the Gili Islands. Only a little more expensive than the fast ferry so definitely worth considering if you get seasick as the ferry can get pretty choppy. One of things which make Gili Islands feel so untouched is the lack of motorised transport. No cars, no taxis, no tuk-tuks. Bicycles or horse and cart are your two options for getting around. Luckily Gili Air is tiny – the circumference is less than 5km – meaning you can walk around the entire island in just over an hour (or, if you’re like me and stop off for coconuts at every opportunity, two hours). 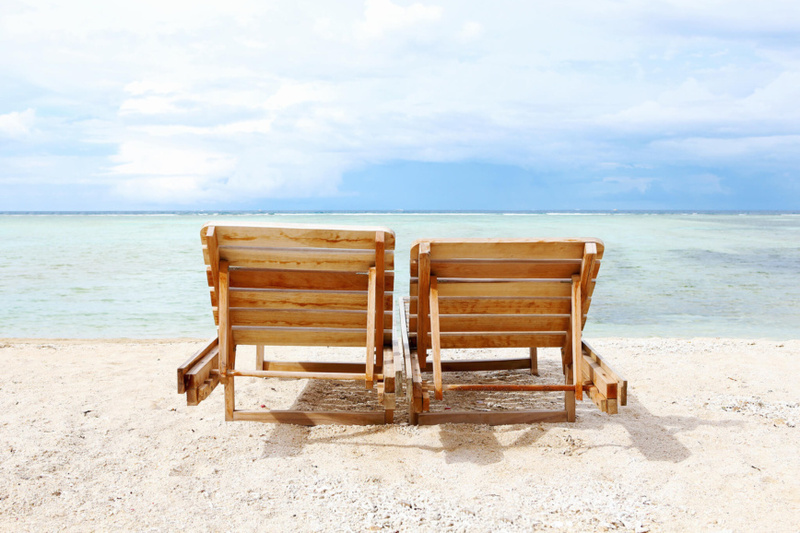 Because Gili Air is so small you hardly have to to commit to any one beach and stay there. That said it is worth knowing the best spots to swim, if like me, you are into the idea of walking 10 steps from your bungalow and straight into the sea each morning. The south side of the island has the most accommodation options and restaurants, but this is also where the harbor is, meaning the water is less than desirable for swimming. The north eastern side is insanely idyllic as far as untouched, white sandy beaches go. While the eastern side of the island has some of the best snorkeling around – chances are you will happen across a turtle or two casually paddling through the crystal clear waters, so keep an eye out. Gili Air is surrounded by multiple tropical reefs which means there is dead (and sharp) coral for miles. You can only really swim during high tide, otherwise you need to be prepared to trek out a decent way (over broken coral) if you want to properly splash around. Unlike Bali, you don’t come to Gili Air to eat. Don’t get me wrong, there are some incredibly delicious local dishes, but ingredients and resources are generally limited to whatever happens to be available that day. Mexican with a slight Indonesian twist. It may not be the best Mexican of your life, but it was a nice break from my beloved Gado Gado (a delicious peanuty Indonesian dish). The margaritas are worth coming here for alone – plus they come with free nachos during happy hour. Perhaps the only place to get a real coffee, Mowie’s also make delicious sandwiches with fresh ciabatta. It’s also the best spot to watch the sun set – so grab a seat outside on the beach. Beautiful interiors complete with a beach front pool should you feel like a salt-free dip. The food was a little more expensive than other places on the island but super fresh and thoughtfully presented. Side step the main dishes and go straight for their cocktails, smoothies and tapas plates (which included a generous amount of hummus). Worth coming back for several times over. Gili Air’s charm is in it’s remote location and untouched feel. This does mean that accommodation options are a little more limited than Bali or Lombok. Don’t expect to have power 24 hours a day or consistent wifi and you’ll be fine! We stayed here for most of our time on Gili Air and loved it’s quiet location nestled in the north western corner of the island. The deluxe double bungalows have a comfy kingsize bed with plush white sheets and plenty of room. It has a private outdoor bathroom – one of the dreamiest bathrooms I’ve been in to date – with nothing but palm trees overhead; outside there is a large deck with a hammock overlooking the tropical garden. Although not directly on the beach front, Manusia Dunia is hidden amongst the palm trees and is the most perfectly serene location. The bungalows are spacious and beautifully decorated with plenty of crisp whites and natural light. Potentially one of the quietest spots on the island, which is saying something.